I like to make of the greetings cards I give to people. These are a few of the special ones I have made, together with notes about how they were made. 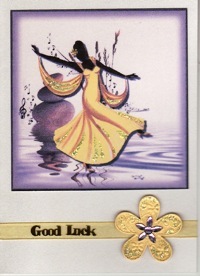 Clicking on an image will take you to the page about how I made that card. This card has a stitched frame. Click on the image for more info a printable file of similar patterns for stitched frames. 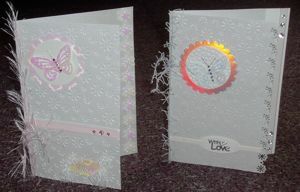 These two were made for a challenge on the DoCrafts website to make acard based on a song title. 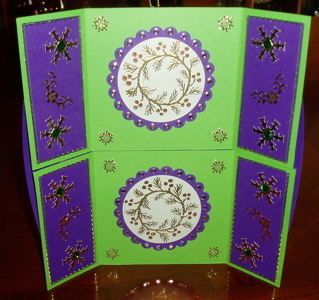 Card with bobbin lace frame for 2009 Arachne Christmas card exchange. Four-way 'everlasting' card given to my granddaughter Christmas 2009. 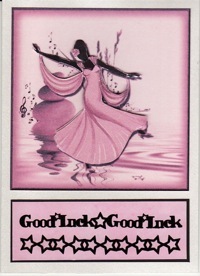 Good luck cards made for Leah and Paige before their Dance School stage show. 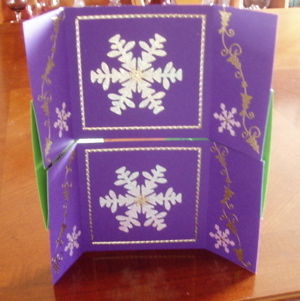 The lilac and yellow version is glittered and has a ribbon trim. The pink version is decoupaged and peel-off trim coloured with permanent felt marker pens. The image came from a magazine CD last year and was originally all yellow. 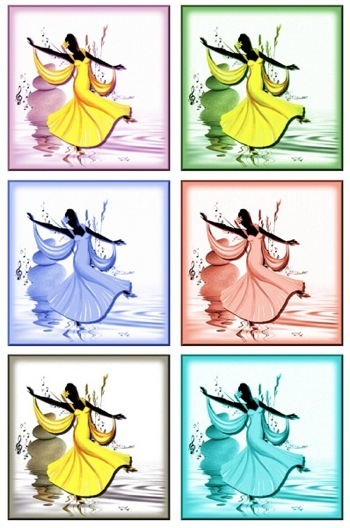 I used Adobe Photoshop Elements and Apple Pages to change the colours. The pictures on the right show someof the other colour possibilities. See how I changed the colours. 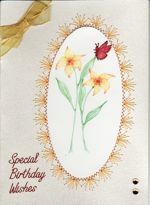 There are pictures of other cards I have made in my Gallery in the DoCrafts Website where my screen name is BeePee.